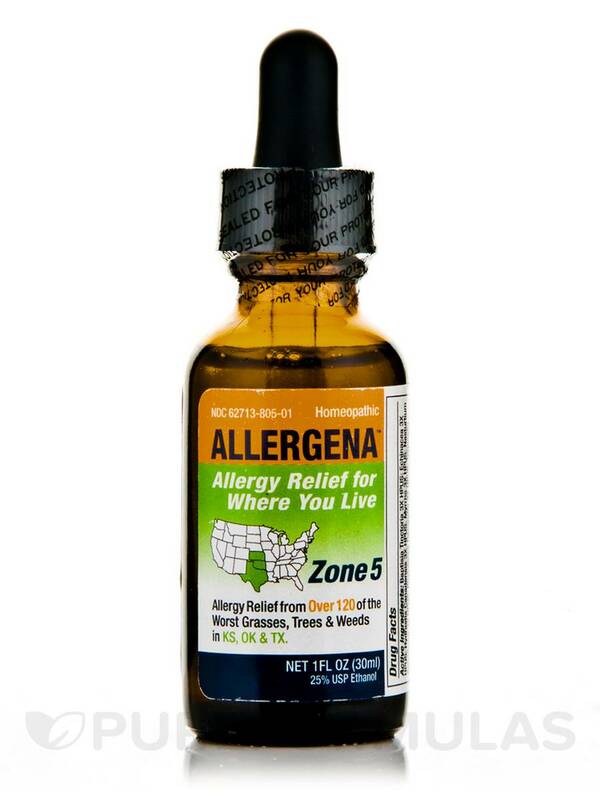 Allergena Zone-5 by Progena natural remedy for allergy I order online and it delivered within 3 days. This product really works. Since starting to use this product, my allergy syptom have been reduced by 90%. Allergena Zone-5 by Progena is a homeopathic supplement that has been formulated to help address certain symptoms associated with grasses‚ weeds‚ and trees found in Texas‚ Oklahoma‚ and Kansas. Proponents of homeopathy believe that highly diluted amounts of natural substances may work to stimulate your body’s ability to heal itself‚ which is why Allergena Zone-5 provides a wide array of allergens common in the aforementioned states. For example‚ it contains Bermuda grass and sycamore as well as six types of ragweed. By exposing your immune system to small amounts of these potential allergens‚ this product might act to build immunity and relieve certain symptoms associated with mild allergic reactions. 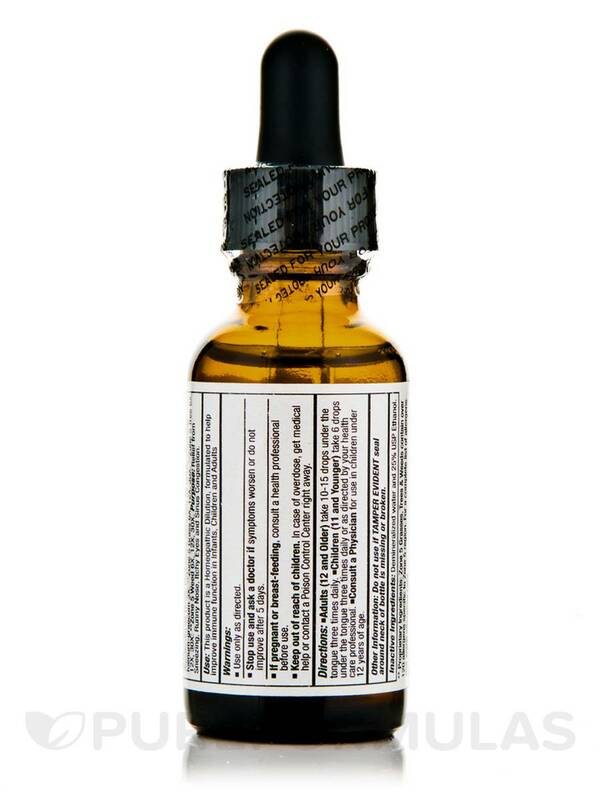 In addition‚ Allergena Zone-5 provides herbs that could potentially serve as herbal drainage remedies. As a result‚ this product may work to remove foreign particles and waste from the lymphatic system. Finally‚ this Progena supplement is unlikely to result in side effects like drowsiness. 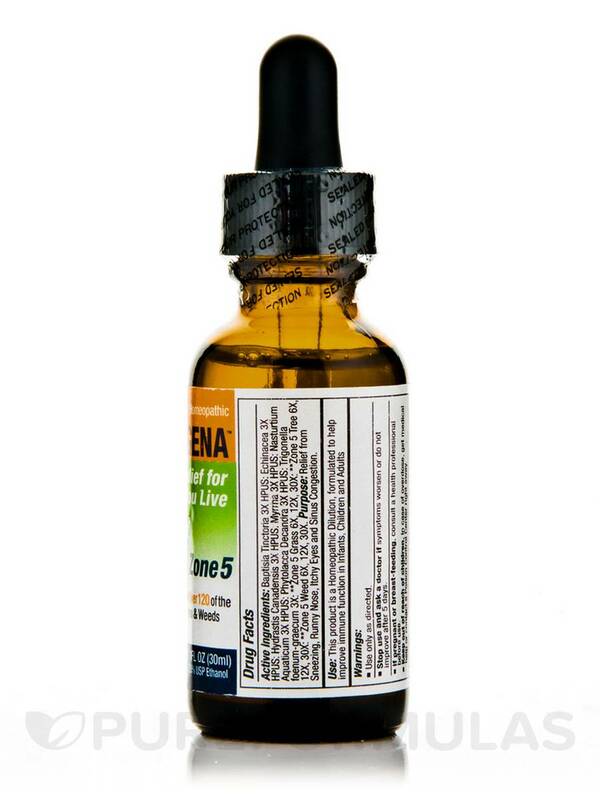 Each bottle of Progena’s Allergena Zone-5 contains one fluid ounce of solution. Zone5 Tree 6X‚ 12X‚ 30X: Zone5 Weed 6X‚ 12X‚ 30X. Ease of use and very effective for prevention of allergies. Taste not great but what meds taste good. Allergena Zone-5 by Progena helped a lot, but did not totally get rid of my allergies. I will keep using and hope I will get more. Great service and arrive quick. My husband, friend and mother use these drops and all three were constantly having trouble with allergies. Allergena Zone by Progena worked right away (within a few days) and if they run out, the allergies and sniffles comes right back. 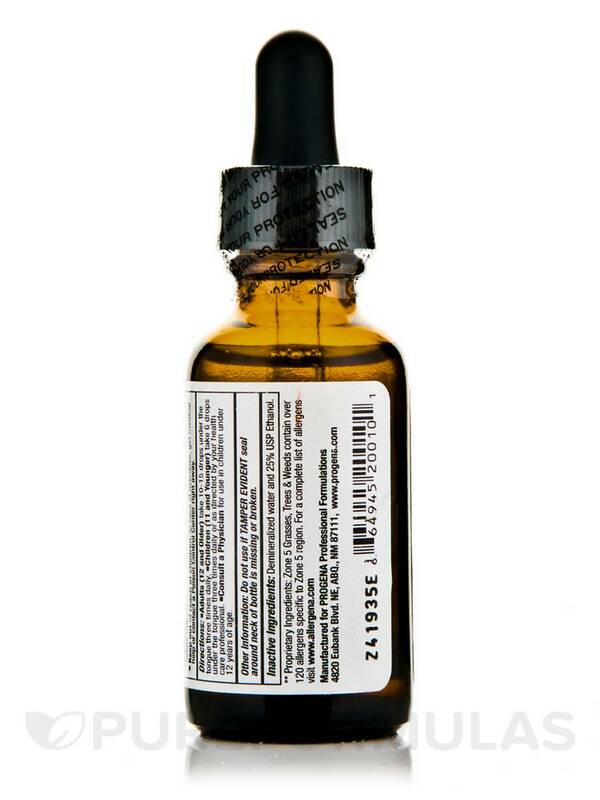 Caution make sure to start with a smaller dose of drops if you are currently suffering from allergies, otherwise you might feel worse. Then gradually add more drops daily until you reach the full recommended dose. Stop sniffles, asthma, nose inflamation. Wish the bottle was bigger so it would last longer. Lasts about a month. I got Allergena Zone-5 by Progena for my husband who has suffered with seasonal allergies. The amount of sudafed and advil-allergy medicine he was taking was very worrisome. My daughter got Allergena Zone-5 for herself after moving back to Texas and having trouble. So now my husband uses it. He HAS NOT taken any of the bad medicines now for almost 3 weeks. He has NOT got sinus pressure, or headaches, itchy eyes, skin break outs. Sleeps so much better as well. Thank you for Allergena Zone-5. My daughter tho. 31 years old bought the kids version at a store (with no alcohol) but I could not find it on Pureformulas. I also prefer things without alcohol. I've been in San Antonio for 5yrs. The first year the allergies were terrible and someone recommended Allergena Zone-5 by Progena. I have been taking it ever since and it works wonders!!! After spending years and too much money on pharmaceuticals and only becoming more and more bothered by my allergies and deeper into the diognosis of asthma, I finally discovered Allergena Zone-5 by Progena. I love that it is zone specific for your particular area & environment. It is easy to use and it work's! There is nothing to dislike from my perspective. After trying many products and supplements for allergies, my doctor told me about allergena because some of her patients were using it and had success with it. I live in houston and started using it eight weeks ago i am happy with the results and have not used any other allergy medicine since. It is natural without side effects of allopathic medicines. In Oklahoma almost everyone I know has allergies. My family is especially hit hard in the fall, and that includes my dog. Actually, my veterinarian is the one who introduced me to Allergena Zone-5 by Progena. He keeps a supply on hand for his canine patients. It has been a tremendous help for both the humans and animals in my household. I keep Allergena Zone-5 on hand all year long. So easy to take and it is effective.